For big brands, the difference can be staggering. When Mercedes-Benz shared a post on Facebook recently about the premiere of its new A-Class, the update quickly garnered more than 10,000 Likes. Impressive … until you consider that the very same image on Instagram generated more than 150,000 Likes—15 times the response! Granted, Mercedes is a visual brand and Instagram is a visual platform. (And engagement isn’t everything—Facebook, the world’s most popular social network, still enjoys an important edge in overall reach.) But the luxury automaker isn’t the only company seeing eye-popping results on Instagram. The photo-based network added 100 million users in just five months last year—rivaling Facebook’s growth numbers—and now boasts 800 million monthly users. With an audience that skews young (a majority of users are reported to be under 30) and is also fiercely brand conscious (53 percent of users follow brands), Instagram is quietly emerging as the new home for companies seeking an impact on social media. The dust has yet to settle on the impact of Facebook’s big decision in January to revamp its news feed—prioritizing “meaningful interactions,” especially updates from friends and family, while limiting content from brands and publishers. But, for companies, it’s likely to only accelerate a shift of resources and awareness to Facebook’s younger sibling. For businesses seeking to stay ahead of the social curve, here’s why doubling down on Instagram makes sense this year. Instagram is a skilled omnivore when it comes to devouring other networks’ features. A social network with nearly a billion users isn’t supposed to be innovative and turn-on-a-dime adaptable. But Instagram has shown itself to be just that. The “Stories” concept, a daily disappearing montage of users’ photos and videos, may have originated with Snapchat, but Instagram has taken it mainstream since copying it 2016—adding more than 300 million users in the process. Instagram has also been quick to embrace everything from live video and private messaging functionality to Snapchat-inspired “filters” for creative selfies. Plus, despite some initial user resistance, the network has pivoted in recent years from a chronological stream to an algorithmic news feed—a la Facebook—giving developers and advertisers more fine-grained control over what users see. What does all of this mean for companies? Instagram’s ability to continually reinvent itself promises to pay off in the form of sustained user growth going forward. Engagement for brands on Instagram is unparalleled. Facebook, with its 2 billion-plus users, is obviously the undisputed champion of “reach” in the social media universe. But Instagram holds the title for an arguably more critical metric—”engagement.” While definitions vary, engagement embraces the degree to which users actually interact with content—liking, sharing and commenting, rather than just passively looking. 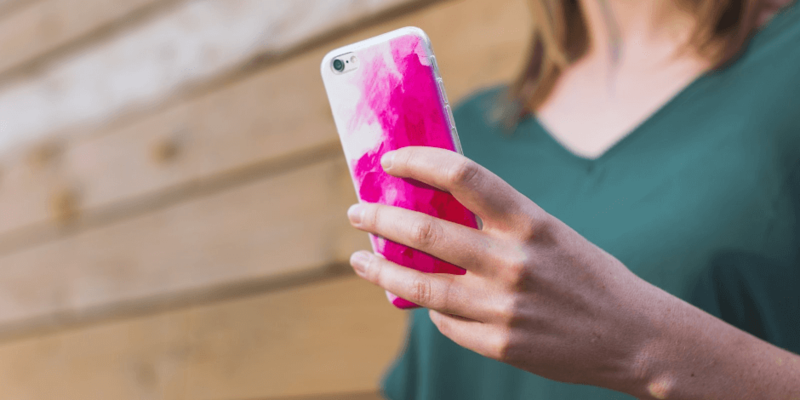 A recent study showed that brands are getting three times more engagement on Instagram, when compared apples-to-apples with Facebook. On Twitter, meanwhile, engagement rates can be less than 1/30th what they are on Instagram. The differential comes down to Instagram’s DNA: The network is and has always been a visual-first platform. And that’s an undeniable advantage: At a biological level, visual content can be processed faster and more efficiently by the human brain, is retained longer, elicits stronger emotions and is engaged with more often. On Instagram, users scroll through reams of photos, liking and commenting rapid-fire as they go. This generates levels of engagement that older, text-based social networks simply can’t compete with. Importantly, for brands, this engagement is overwhelmingly positive (after all, there’s no “dislike” button on Instagram), whereas posts on Facebook often generate a broader gamut of reactions and comments. While Facebook is limiting brand content, Instagram is embracing it. Facebook’s recent decision to curb content from brands and publishers on users’ news feed reflected a common, understandable gripe: “I log onto Facebook to catch up with friends and family, not to be sold to!” Instagram, however, has arguably been different from the start. The highly visual format means it’s a place where branded content can come across more naturally and feel less intrusive. Gorgeous visuals, after all, are gorgeous visuals—whether they come from your best friend or from Nike (who, incidentally, has 75 million Instagram followers). Recent signs suggest that Instagram is deepening its embrace of brands. The revamped Explore tab automatically connects users with people and companies outside their immediate circle. For brands who master the art of catchy visual content, opportunities for exposure here are virtually limitless (especially as this Explore functionality may soon be woven right into users’ personal feeds). Instagram is also jumping enthusiastically into the world of in-app shopping. Eligible businesses can now tag products in their posts, with a direct link to purchase. Integrations with platforms like Shopify enable all this to happen right inside the app. The bigger picture: Instagram is rolling out the welcome mat for brands, with more ways to find customers and make deeper connections with them. Instagram’s ad tools have grown up. When it comes to targeting ads on social media and getting the best bang for your buck, Facebook has long been the consensus winner. Sophisticated tools enable filtering audiences by everything from geography to interests and industry. Not to mention, you can create “custom audiences” based on your own website traffic or your customer database. Once upon a time, Instagram was an ad-free zone. But since fully opening up the platform to ads in 2015, it has quickly integrated much of Facebook’s ad functionality. Today, brands can target customers with the same level of ease and precision. The network has also innovated on ad formats: they integrated Stories-style ads last year, giving companies a way to combine pics, video and text. Tellingly, the number of advertisers on the platform doubled last year to 2 million, with most of that growth from small- and medium-sized businesses (a pace of growth that has rubbed some users the wrong way). Considering that Instagram ad revenues are projected to nearly triple to $11 billion by 2019, companies who get in now will be ahead of the game and stand a better chance of being noticed. Better business tools for Instagram are coming. Outside the tech community, the acronym API—short for Application Programming Interface—may not mean much. But, believe me, for business users it definitely matters: in fact, the impact can be game-changing. Earlier this year, Instagram updated its API—in layman’s terms, the firehose of user information that’s made available to outside developers. In practice, this means that a new generation of third-party Instagram tools is on the horizon—ones that allow companies to efficiently post at scale to the network and measure results. For some perspective, back in the day, it was this same kind of API access that transformed Facebook and Twitter from dorm-room toys into full-fledged marketing channels for companies. Easy-to-use software tools, built off these APIs, enabled brands to schedule multiple posts and monitor engagement—all without having to laboriously scroll through individual feeds. Instagram’s new Graph API promises to be no less transformative. I know this firsthand: access to this functionality has long been the number one request from Hootsuite’s 16 million users. It’s important to note here that this isn’t a zero-sum game (especially since Facebook owns Instagram). Facebook will remain a critical tool for brands hoping to connect with their audiences for the foreseeable future. Nearly a third of the planet logs onto Facebook, after all, and Instagram currently generates just a fraction of Facebook’s overall ad revenue. But for companies seeking to deepen and sustain connections with their customers, a complementary approach is increasingly critical. Facebook’s little sibling has grown up, and its knack for innovation and engagement promise to make it ever more important in the years ahead.